Did Mercedes Just Reveal The Look Of the Mercedes-AMG Project One Hypercar? When topics like the Mercedes-AMG Project One hypercar are brought up, it’s normal for most of us to perk up our ears, squint our eyes, and look for every available information we can get, concealed or otherwise. That moment came up when Mercedes issued a press release about its plans for the Frankfurt Motor Show. Lo and behold, it accompanied the release with some photos, including one that appears to be a mock-up of its booth for the show. 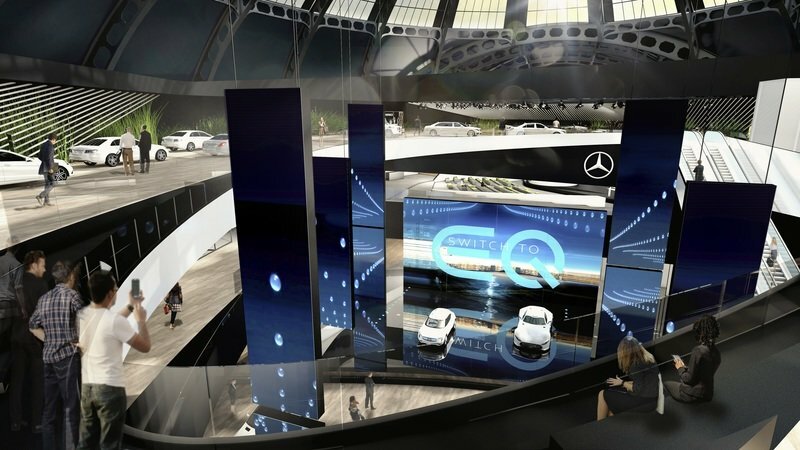 Look a little closer and there it is in plain view, sitting next to what looks to be the GLC-based company EQ Hydrogen Concept Car. 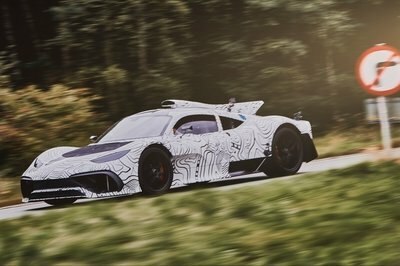 To be clear, Mercedes didn’t say that this car is going to be the AMG Project One, but if you read the press release, the German automaker is only bringing one performance car to the event in addition to the aforementioned EQ Hydrogen Concept Car, the X-Class pickup, a Smart concept, and the world premieres of the S-Class Coupe and Cabriolet. The German automaker also added that while the Frankfurt-bound Project One still won’t be the full production car, the concept is going a “near-series study,” which means that barring anything unforeseen, this is probably the closest thing we’ll get to see of the concept before final production car is unveiled. Could this car then be what the AMG Project One hypercar is going to look like? 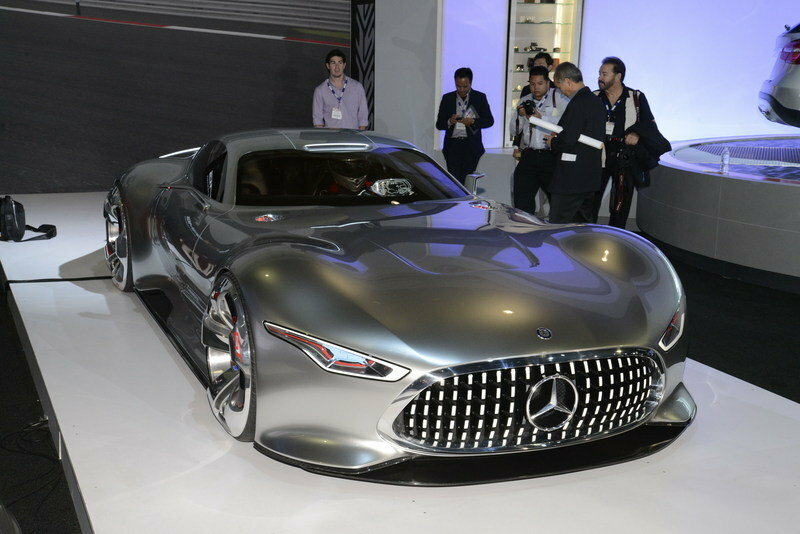 Unless Mercedes is taking advantage of our thirst for information about the car with a troll job for the ages, I do think that this is what we can expect from the company’s first hypercar. 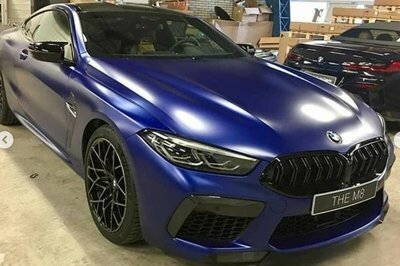 I told myself that I’m not going to jump to any conclusions and proclaim this to be the real deal, but there is a part of me that wants to think that Mercedes intentionally did this to get all of us to start talking about the AMG Project One. If that were the case, consider it a job well done, Mercedes, because that’s exactly what we’re doing right now. 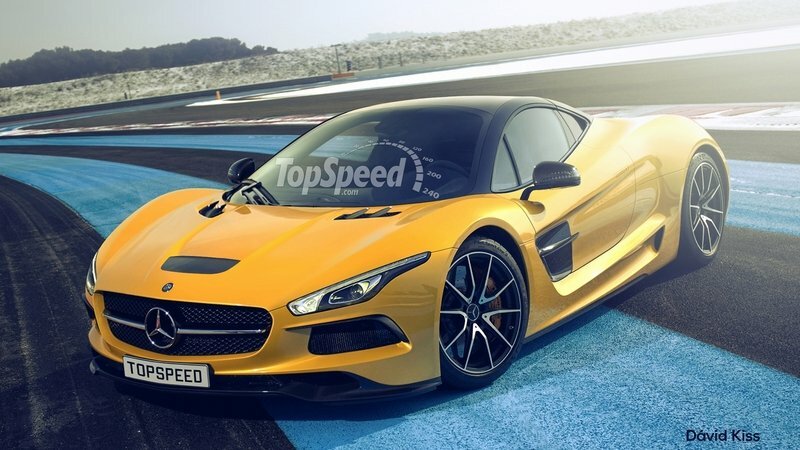 Should this car end up being the AMG Project One, it’s hard not to look back to the 2013 Mercedes-AMG Vision Gran Turismo and see the uncanny similarities between the two models, right down to the elements inspired by the 1952 Mercedes 300 SL race car. It’s got the distinctive Panamericana grille, the thin, sweptback headlights, the roof scoop, and the overall shape of the body. 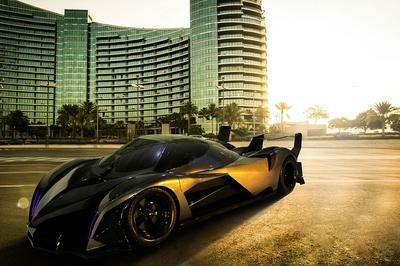 Speaking of the shape, remember that silhouette image of the hypercar that we saw earlier this year? 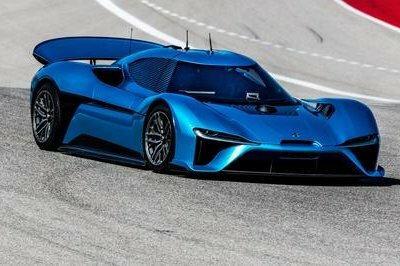 The wide arches and the overall shape of the silhouette also plays into what the Vision Gran Turismo Concept looks like. 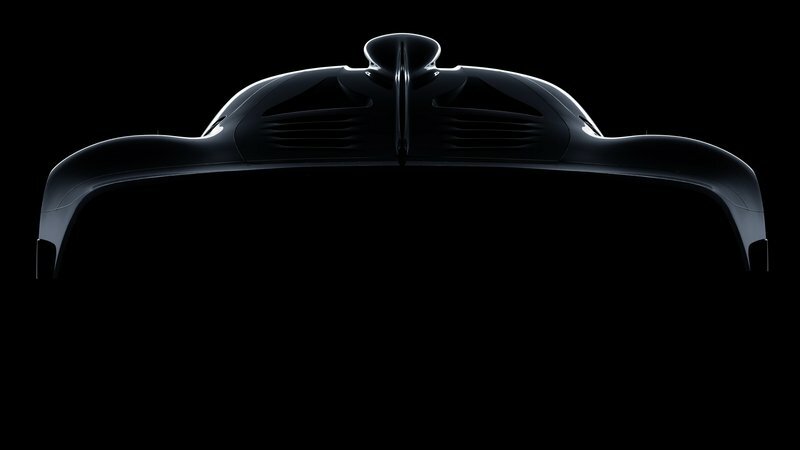 Note: photo of the earlier teaser of the AMG Project One. Now, I did mention that this could be just a troll job on Mercedes’ part to get us all riled up. There’s that possibility. The good news is that the Frankfurt Motor Show is close to opening its doors so whatever curiosities we may have now will be answered quickly enough. I don’t know what to think at this point, but if you ask me, I’d rather see a completely new design for the AMG Project One that’s fully independent from the 2013 AMG Vision Gran Turismo Concept. 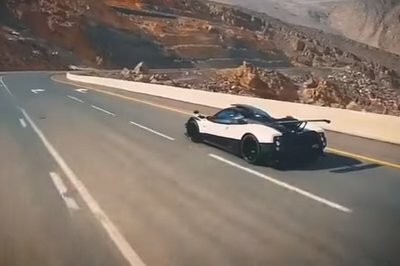 I’d feel a little cheated to know that the design of the Project One has been sitting under our noses all this time. Read our full review on the Mercedes-AMG Project One. 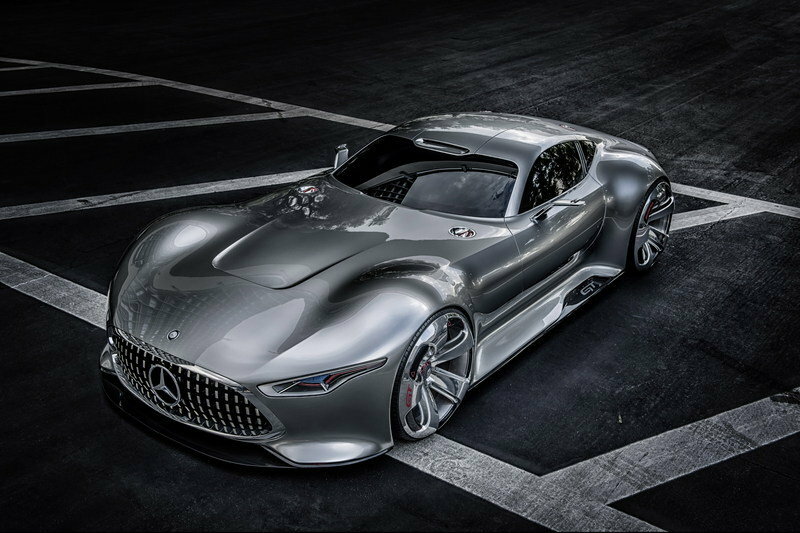 Read our full review on the 2013 Mercedes-AMG Vision Gran Turismo Concept.